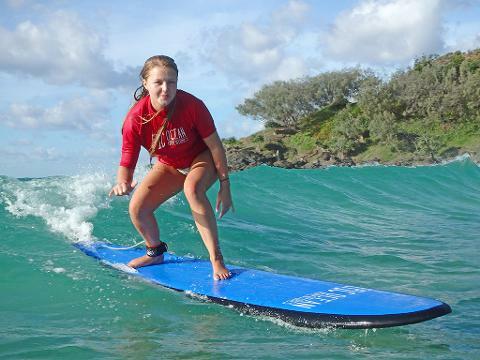 Get the feel of what surfing is all about learn to surf at Australia’s safest beginner surf location with rides that go 100’s of meters long. 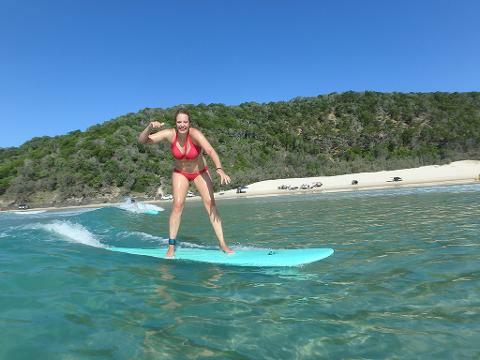 Double Island Point offers crystal clear, warm waters and uncrowded waves that seem to go forever. The place is still one of Australia’s best kept secrets but not for long and its only accessible by 4wd. 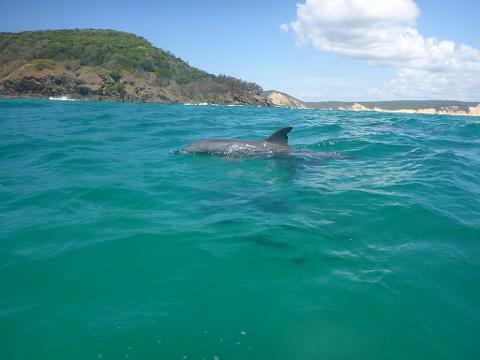 Get the chance to surf with dolphins that live here and guarantee stand up on your first surf lesson! 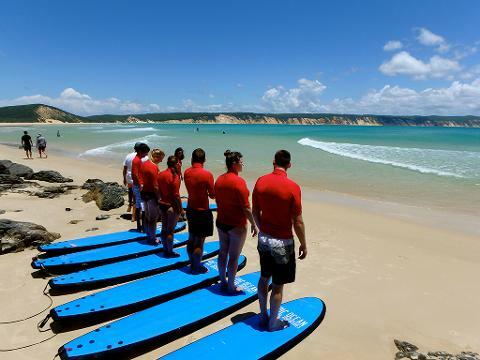 This tour departs Noosa, Queensland and is located 1.5 hours north of Brisbane on the Sunshine Coast. 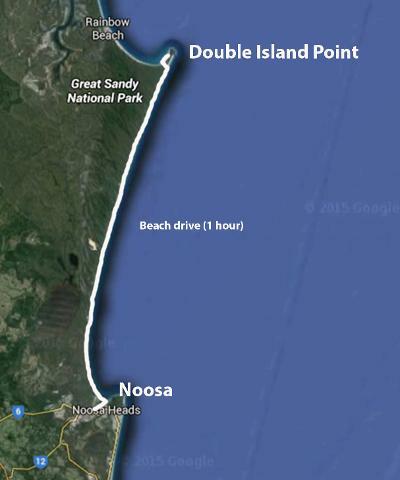 - Depart Noosa by 4wd Toyota Troopcarriers onto Noosa North Shore ferry and onto the beach. - Get set up with wetshirt/ wetsuit, sunscreen and warm up! - Equipment set up and safety/instruction briefing on the beach. - We show you a really easy technique on the beach on how to safely use and carry your surfboard when in the water, how to stand up and how to catch the wave. - Learn to surf Instructor gives you good feed back on what your doing right and where you can improve. 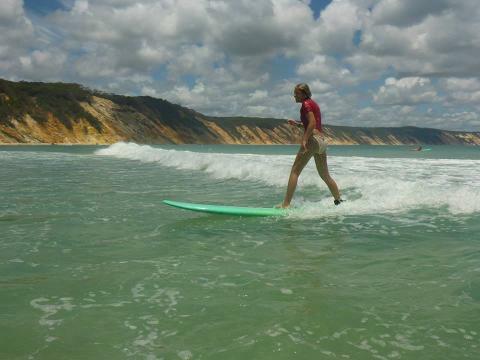 - Dont worry if you have never surfed before or your balance isn't excellent. This is fun for everyone of all ages! 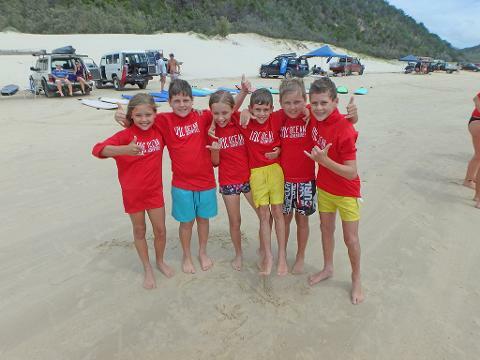 - If you have had surf lessons before we will work with you closely to get your progression fast on a fun easy wave! 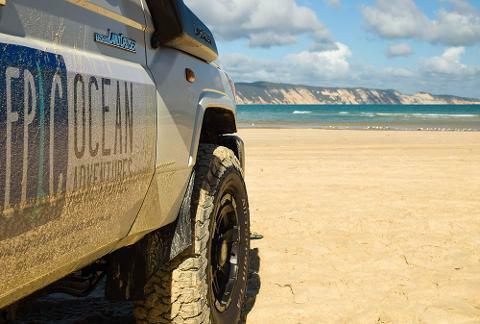 Includes: 4wd beach transport, light snack & water, National Park fees, equipment (specilised surfboard, wetshirt or wetsuit), instruction & fun! This Combo is for 2 x Learn to surf day trips and requires 2 separate days to participate.